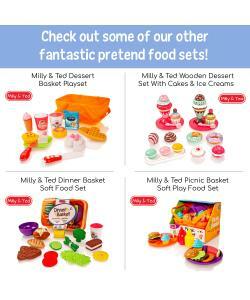 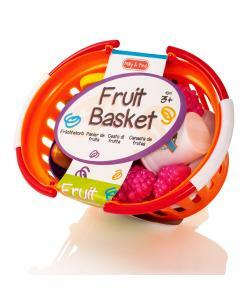 Take your fruit snacks anywhere with this great Carry 'n Go soft play food basket set by Milly & Ted. 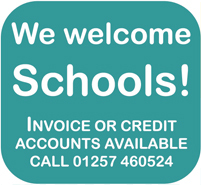 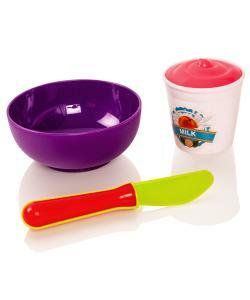 Made from high-quality, crush-resistant plastic - sized especially for little hands. 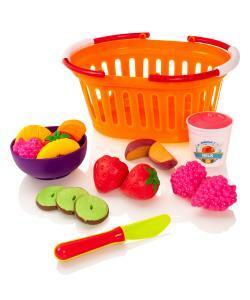 The sturdy plastic basket comes packed with 17 pieces of fruit essentials with a bowl, milk carton, strawberries, grapes, kiwi fruit, applice slices and more. 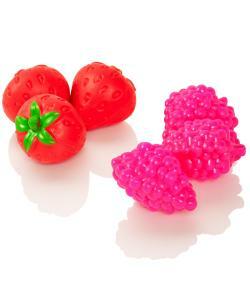 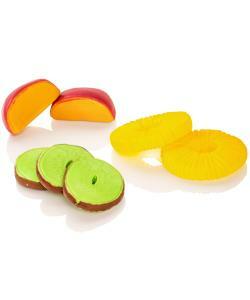 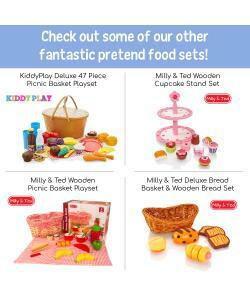 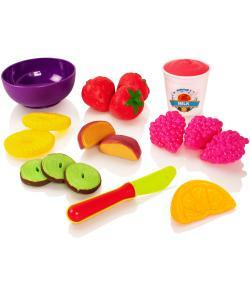 Perfect for fun pretend play, children will love using their imaginations to act out a real life snack time. 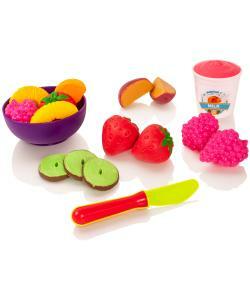 Which fruits will they choose for their bowl?